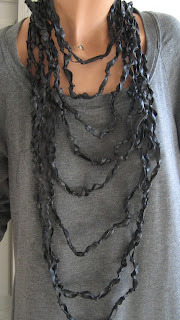 PalePink, an artist out of Denmark, is creating some great items out of discarded bicycle inner tubes. The journals, jewelry, and wallets are all made of what otherwise would be destined for the landfill. 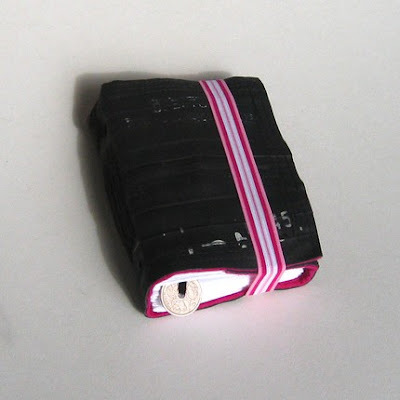 The small inner tube journal is 3.1 x 4.7 inches and the medium is 4.3 x 5.9 inches. 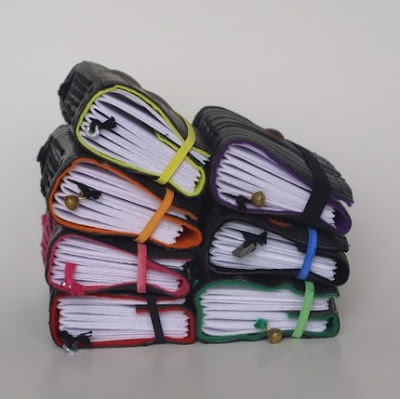 Both have 360 blank pages, a felt inside lining and an elastic band to keep 'em closed. Many colors are available, as seen below. You can check out all the latest PalePink creations on the PalePink BlogSpot and Flickr accounts.